I spent the week doing support at an office in Chicago. One of the things I did was teach multiple one and two hour sessions. I spent a little extra time with a few of the people I was training, it was nice when some came back after training to get more help, I did what I could, even learned a few things myself. Today, when I was leaving, I found this card on my bag. 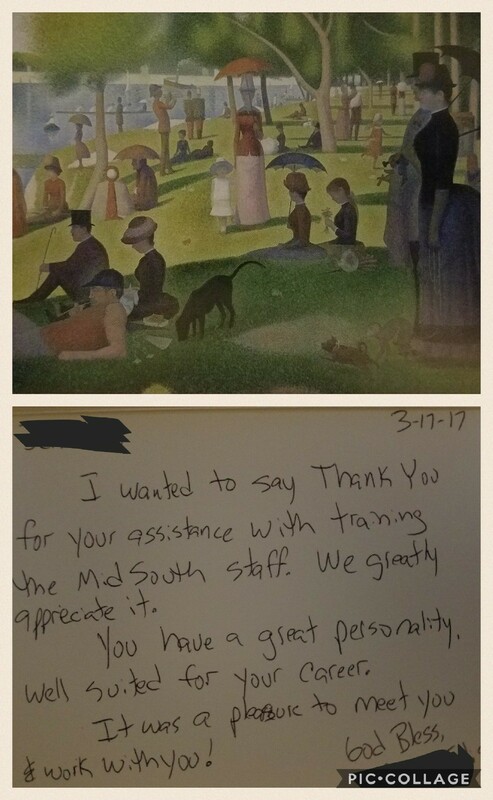 It was from the SDS, the trainer, that I had worked with for the week. We hit it off immediately, both professionally and personally, it was great! I’m always humbled and flattered when I’m given a compliment about the way I train. It helps me remember why I do what I do, this just made my day. Thank you!